My relationship with long duration, low intensity cardio has always been one of mutual dislike. I don’t like it, and it doesn’t like me. A hate-hate relationship if you will. Thus, it probably doesn’t come as any surprise that I drifted so heavily towards a sport like baseball. I mean, can you get anymore alactic than that? In the world of team sports it’s hard to beat. Take one swing, run one sprint, and then rest for a few minutes until it’s time to go again…glorious. Unfortunately…the story isn’t that simple. At it’s core, playing one baseball game isn’t all that demanding, unless you’re playing the outfield by yourself on a bad team, but playing multiple games can be. 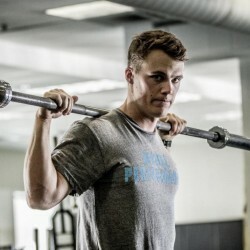 Which brings us to the all elusive and often debated question: “Should baseball players train aerobically?” Like all things performance related, the answer is it depends. It’s not a simple yes or no. You always have to take into consideration the individual: What position do they play? What’s their resting heart rate right now? How’s their HRV? How much time do I have to devote towards preparation? What exactly am I preparing for? How do they move? And so on and so forth. James Cerbie is just a life long athlete and meathead coming to terms with the fact that he’s also an enormous nerd. Be sure to follow him on Twitter and Instagram for the latest happenings.